The holidays are all about being with the family and close friends and spending joyful moments with the ones you love. 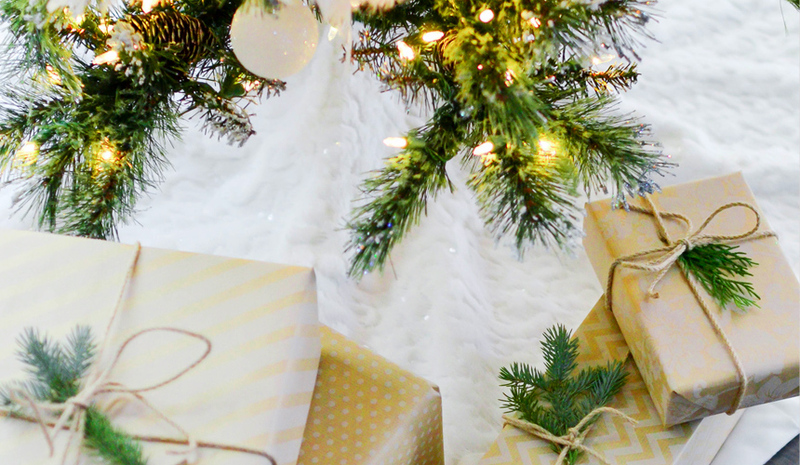 Do you need help with this year’s Christmas gift ideas? Here are a few suggestions about how to surprise your loved ones with fabulous all-natural gifts. To help your friend or relative avoid frustration of flat hair in the upcoming year, treat them with right set of products for fine hair. Apple Cider Vinegar Shampoo in different scents. Known for its numerous beneficial effects on hair, apple cider vinegar shampoo formula is the best gift for someone with fine hair. It will add moisture and shine to fine hair, gently cleanse and balance the pH level of hair and scalp. Unlike traditional acv rinse this shampoo smells amazing and is available in several fragrances as well as unscented. Apple Cider Vinegar Conditioner for enhanced smoothness. Due to its active ingredients this conditioner effectively seals the hair cuticles causing the frizzies to disappear. It also prevents hair tangles and breakage. Choose a matching fragrance or combine the scents. Phillip Adam lightweight Volumizer will give fullness to limp strands and increase volume in hair. Enriched with Pea protein and apple cider vinegar, it also adds hydration, shine and provides light hold. It can be used on wet or dry hair. Ideal holiday present for those with fine and thin hair types. We all have a friend who is constantly on a lookout for products that will help her dry hair look good again. Although there is no Christmas miracle that will solve this problem overnight, switching to clean hair products, rich in nutrients might be a good way to start. 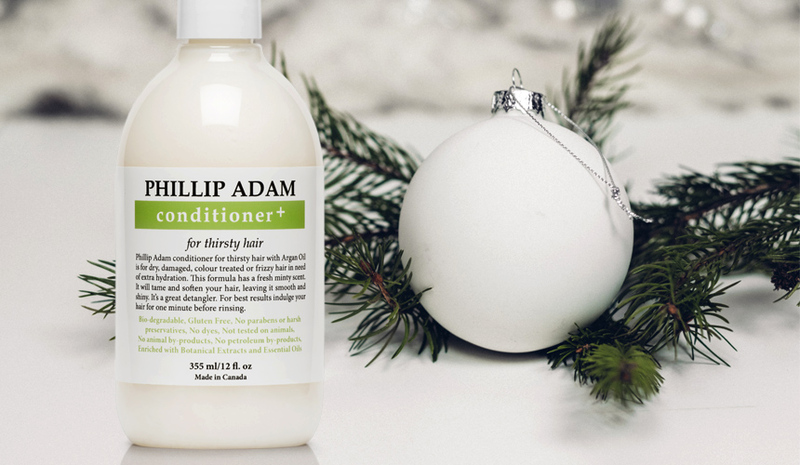 Thirsty Hair Conditioner+ for dry hair in need of extra hydration. Formulated with moisture boosting ingredients such as Argan Oil, Moringa Seed Oil, Macadamia Seed Oil. This conditioner is excellent for everyone with dry, damaged and color treated hair. Successfully fights static electricity, frizzies, locks in moisture and gives hair a smooth finish. People with fragrance sensitivities can get a wide range of allergic reactions from using scented hair and body products. Luckily, they too can benefit from natural-based cosmetics, the fragrance-free way. Unscented Collection for hair and body. 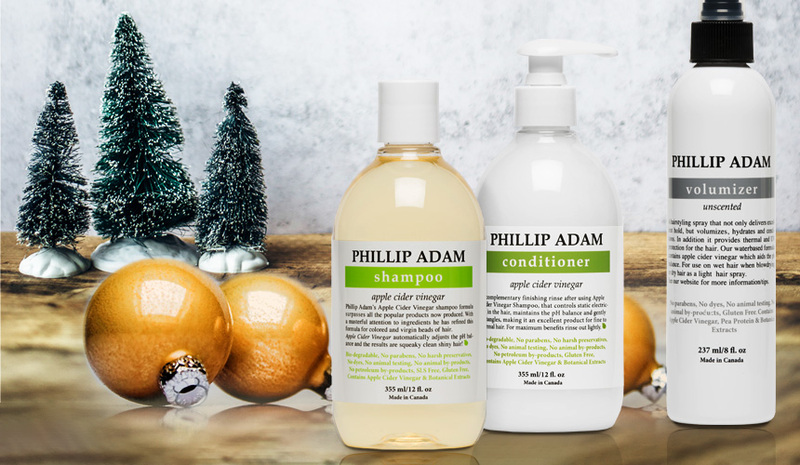 Created with skin and fragrance sensitivities in mind, the collection consists of the fragrance-free versions of Apple Cider Vinegar Shampoo and Conditioner plus the fragrance-free Body Wash and Lotion.